DupScout Ultimate is capable of saving reports in an SQL database. Reports may be saved manually or automatically using the DupScout command line utility periodically executed by the Windows built-in task scheduler. 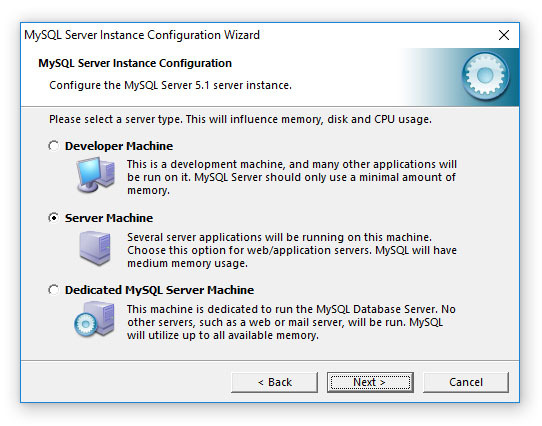 In order to configure DupScout to use the MySQL database, the user needs to install the following two components: the MySQL Server and the MySQL ODBC connector. First of all, let's install the MySQL Server. 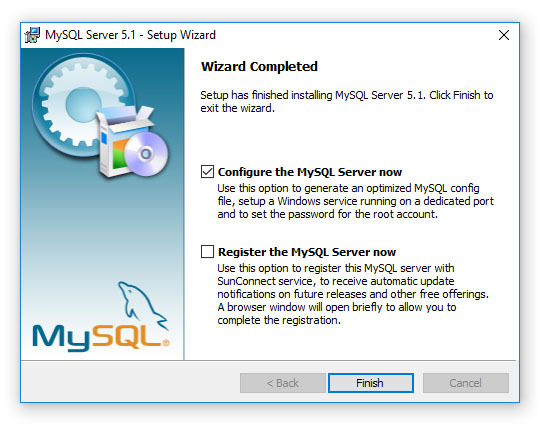 Download the latest version of the MySQL server from the MySQL web site and execute the setup program to start the installation procedure. On the setup type page, select the 'Typical' setup type and press the 'Next' button. By default, the setup will install the MySQL server and a command line utility, which will be used to configure the MySQL server. 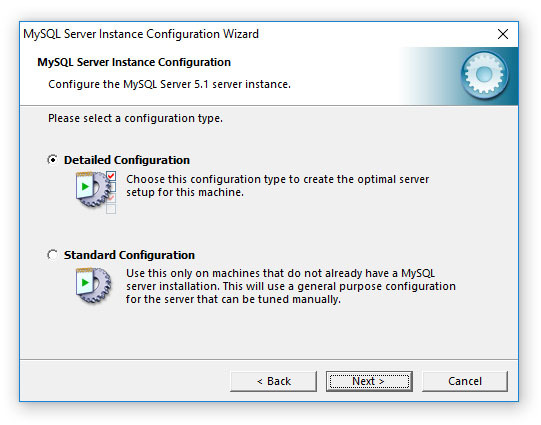 On the next setup page, select the 'Configure the MySQL Server now' option and press the 'Finish' button. 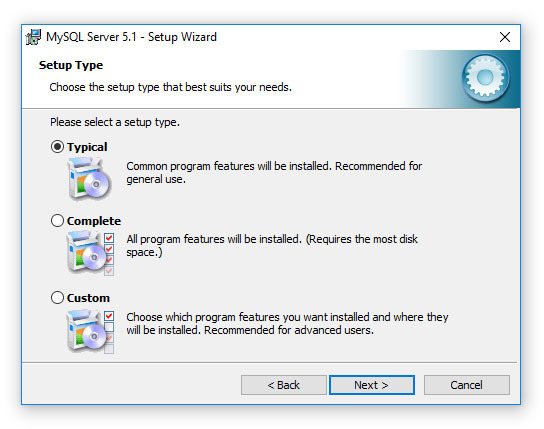 The setup program will open a MySQL configuration wizard allowing one to configure basic server settings. On the next setup page, select the 'Detailed Configuration' option and press the 'Next' button. 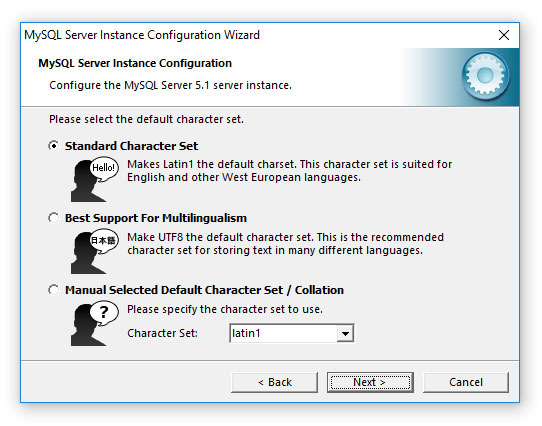 The detailed configuration mode is required to configure the MySQL server for maximum database performance. On the next page, select the 'Server Machine' option, which is the most balanced configuration for typical DupScout workloads. If the server is intended to process large volumes of reports and is dedicated for DupScout, select the 'Dedicated Server' configuration option. On the next page, select the 'Non-Transactional Database' option. DupScout does not perform concurrent insert or modify operations on the database and a transactional database is not required. Moreover, configuring the MySQL server as a non-transactional database will significantly improve the performance of database import operations. On the next page, select the 'Manual Setting' option and set the number of concurrent database connections to 5, which is the optimal number for typical DupScout installations. 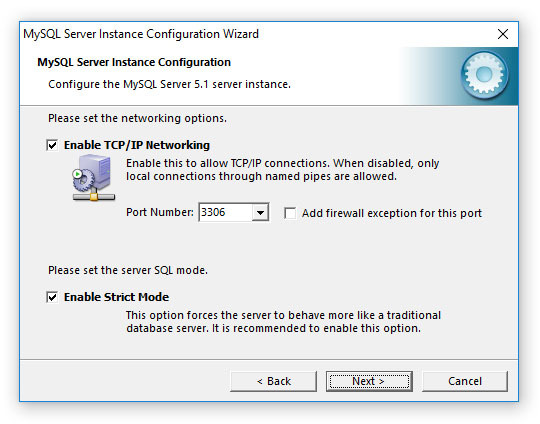 On the next page, enable TCP/IP networking and if the server will be accessed from other computers on the network, add a firewall exception for the MySQL server port. In general, a single MySQL server may be used to collect reports from multiple DupScout installations using remote ODBC connections. On the next page select an appropriate character set. By default, DupScout uses the UTF-8 character set to store names of files and directories, but if there is no need to process Unicode file names, this option may be set to the standard Latin1 character set. On the next page, select the 'Install as Windows Service' option and select the 'Include Bin Directory in Windows PATH' option. The PATH option will enable execution of the MySQL command line utility from any location. On the next page, select the 'Modify Security Settings' option and specify a root password for the MySQL server, which later will be used to configure regular MySQL users. That's all. Press the 'Next' button to finish the installation procedure. 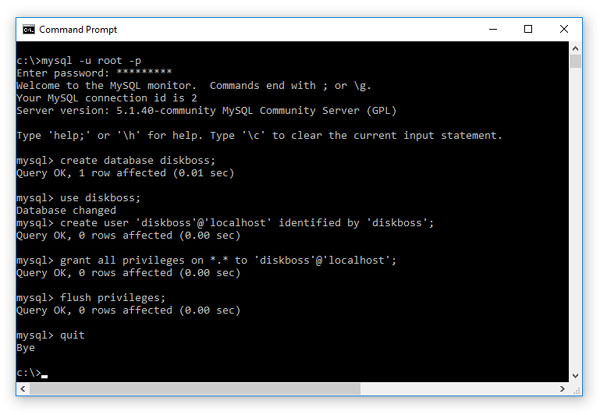 The MySQL database provides the 'mysql' command line utility, which may be used to configure the database and the user account to be used by DupScout. 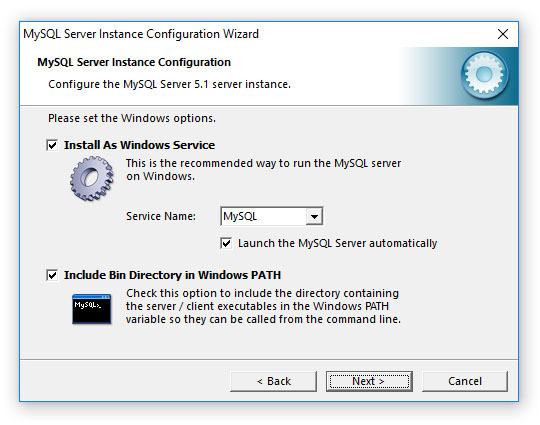 This command will start the 'mysql' command line utility and login to the MySQL server with root permissions. 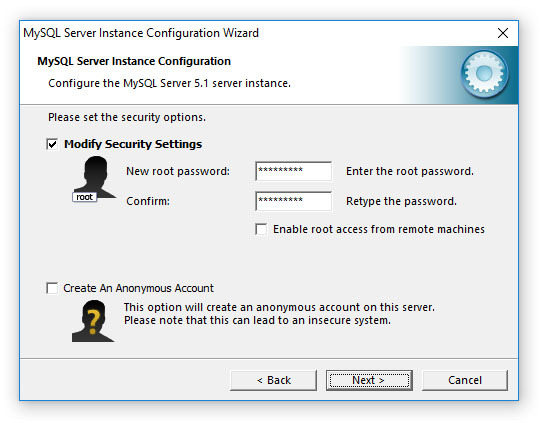 The user will be asked to provide the root password, which was specified during the MySQL server installation procedure. Now, add a user account that will be used by DupScout to submit reports to the database. Single quotes are required and should be specified exactly as displayed. Finally, flush user privileges using the following command. That's all. Now the MySQL server is fully configured. In order to disconnect from the MySQL database, just type 'quit' in the command window. 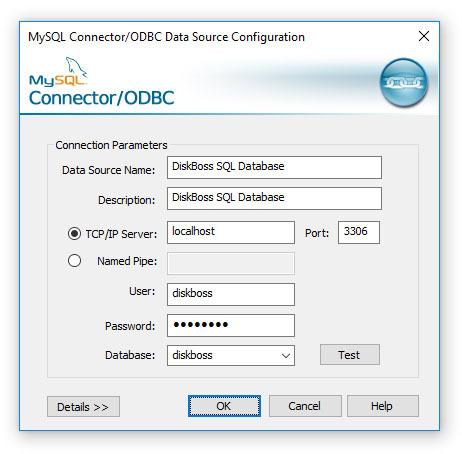 DupScout connects to the MySQL database through the ODBC interface. 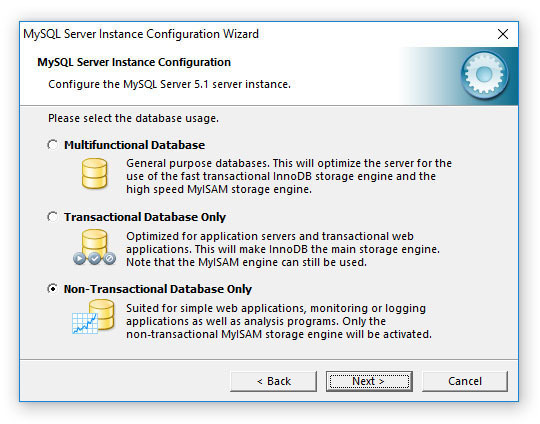 Download an appropriate version of the MySQL ODBC connector from the MySQL web site and execute the setup program. There are no critical configuration options in the MySQL ODBC connector installation procedure and the user can just press the 'Next' button until the last page keeping the default configuration options. After finished installing MySQL ODBC Connector, open the Windows control panel and select 'Administrative Tools - Data Sources (ODBC)'. 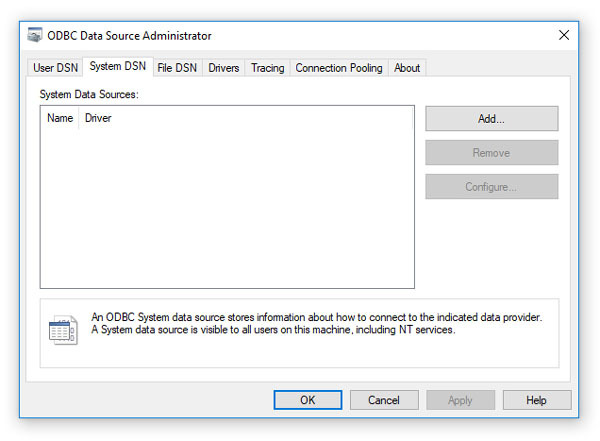 On the ODBC Administrator window, select the 'System DSN' tab and press the 'Add' button. On the next page, select the 'MySQL ODBC Driver' and press the 'Finish' button. On the next page, enter a new data source name, which will be used by DupScout to connect to the database. Specify the name of the host where the MySQL server is running on and enter the MySQL user name and password that should be used by DupScout to connect to the database. Finally, select the name of the database that should be used to store reports. After finished specifying all the required information, press the 'Test' button to check the database connection. 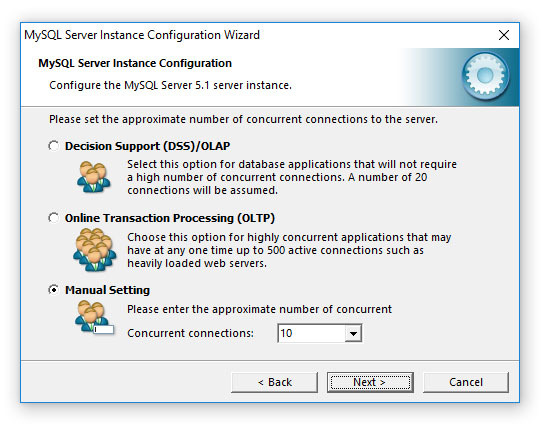 In order to configure DupScout to use the installed MySQL database, open the options dialog and select the 'Database' tab. 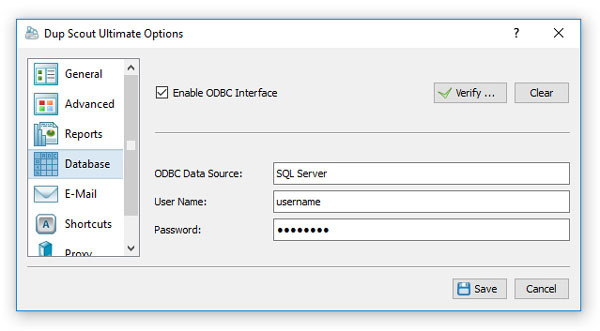 Enable the ODBC interface and enter the name of the ODBC data source, the database user name and password that were specified for the ODBC data source. Finally, press the 'Verify' button to check the DupScout database connection.